“I want to thank you for mentioning that latest Aquarius release...the EVGENI ONÉGIN from the Maly Theatre with Sergei Lemeshev. It is in just about every respect, quite wonderful. First, as I put it in my player I noticed that the sound quality was quite good, '50s mono, clear and uncompressed, very natural, with the voices clean and generally forward. And, then, the vocalism! It is superb, the performance as good as it gets (including comparison with the Bolshoi performance of the same year, which is widely available). Lemeshev is in stellar voice. I am in the midst of comparing the 1955 Bolshoi recording with this new, previously unreleased one on Aquarius (Maly Theatre, 28 October, 1954). Of course, Lemeshev is the Lensky in both, and in both instances he is superb. Galina Vishnevskaya is the Tatiana in the Bolshoi/Melodiya, while an artist with whom I was not too familiar, Vera Kudryavtseva, assumed the same role in the Maly Theatre performance. Vishnevskaya is superb, and that recording catches her at the peak of her artistry; but Kudryavtseva is also very fine....in fact, save for Madame Vishnevskaya, she outshines anyone who has come since (at least in my opinion). The role of Onégin, then, may be the tipping point. Evgeni Belov takes it in the Bolshoi recording, and he is fine. However, Sergei Shaposhnikov in the Aquarius / Maly Theatre is, for me, a bit better, conveying the changing emotional states of Onégin quite well, while retaining the necessary lyricism. The other two items - the PRINCE IGOR and PIQUE DAME - are equally fine, in very good mono sound, well sung. I've always delighted in performances of Alexei Krivchenya (his BORIS GODUNOV interventions are a delight, as the early 1950s film demonstrates), and he does not disappoint as Khan Konchak. All in all, these are superior issues, well worth the investment, and as good as most any later performances of the works. “One of the leading concert singers in Russia was the Ukranian baritone Sergei Shaposhnikov. While he also sang more than 30 operatic roles, including Onégin, Germont, Figaro and Robert in IOLANTA, the focus of and basis for his career, which spanned almost forty years, remained lieder. In addition to Rusian romances and lieder of the German Classic and Romantic periods, he dedicated intense interest to contemporary compositions, initiating numerous premières himself. His recording of Schubert’s WINTERREISE demonstrates that his understated song interpretation is superior to any performance based on mannered expressive effect." “The Russian label Aquarius, which has been doing magnificent restoration work on the old Melodiya catalogue (available at Norbeck, Peters & Ford, online), just made available five releases built around one of the twentieth century’s greatest tenors, Sergei Lemeshev (1902-1977). It is difficult to imagine the pleasures given to Moscow operagoers in the Stalin years (except, of course, for having to live in the Stalin years) and immediately afterward. The two ‘house’ tenors at the Bolshoi were Lemeshev and his contemporary Ivan Kozlovsky (1900-1993), and moreover the house baritone was the great Pavel Lisitsian (1911-2004). The differences between Lemeshev and Kozlovsky were significant, although both were exquisite lyric tenors who would have been stars in any of the world’s leading opera houses. Kozlovsky’s voice was a bit more tightly focused (some find it thin); he also was more of a risk-taker. He sang, indeed, with a freedom virtually unmatched in his era - far more typical of what we find in the recordings of Fernando de Lucia from the beginning of the century. But do not take this to mean that Lemeshev was boring or unimaginative. His voice had a more ‘juice’ in the sound, more natural warmth. He also had a more prominent vibrato (though it is never obtrusive). If you forced me to find a single adjective to describe his singing, it would probably be ‘poetic’. That is the word John Steane settled on in THE GRAND TRADITION, though at the time that book was written, Western collectors did not have access to much of Lemeshev’s (nor Kozlovsky’s) work. Kozlovsky was surely the more theatrical, dramatically intense singer. Lemeshev’s art, while not ignoring the dramatic, was more strongly focused on the vocal. 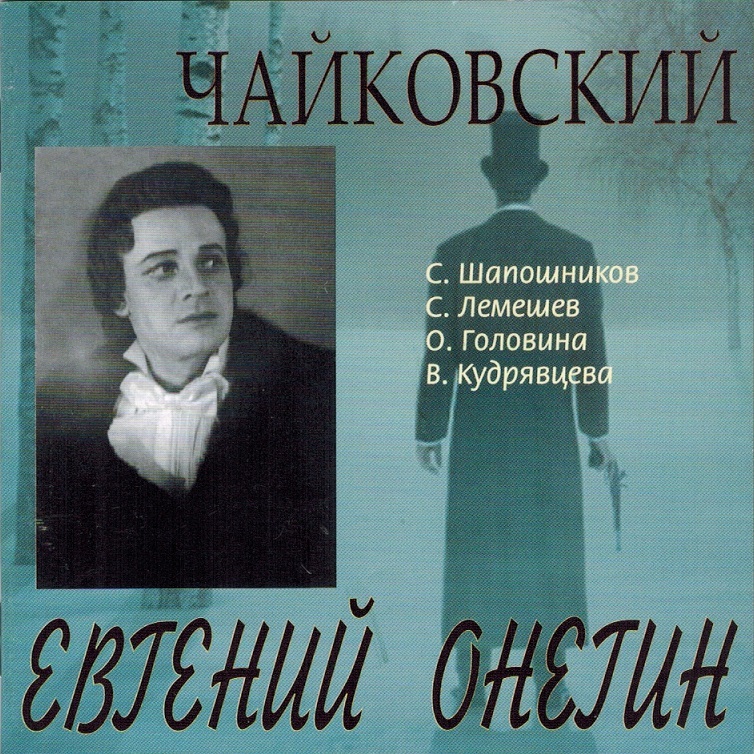 This cornucopia of Lemeshev releases helps to balance a situation in the CD format that had favored Kozlovsky. Throughout everything on these five generously filled discs we hear singing founded on a firm legato, remarkable breath control, very imaginative dynamic shading and phrasing, and a deep expressiveness. The best operatic singing manages at the same time to be emotionally expressive and vocally gratifying.. The shading in ‘Pourquoi me réveiller’ is as uniquely beautiful as what we get from Kozlovsky in his complete recording of WERTHER. (It is important to note that during this period (and probably up until the 1960s) all operas were performed in Russian, and therefore virtually everything here is in that language.) Lemeshev’s shaping of the long lines in the Garden Scene duet from FAUST recalls some of the great lyric French stylists, despite the change of language. There are imaginative and unforgettable touches of Lemeshev’s poetic sensibility everywhere on these discs. Levko’s ‘Lullaby’ from Rimsky-Korsakov’s MAY NIGHT on the disc containing recordings made in 1940-48 is singing that one returns to again and again for its pure beauty. The disc of duets features Lemeshev and his wife, the long-lived lyric soprano Vera Kudryavtseva (1911-2009). She is not in his league in terms of imagination or uniqueness of timbre, but Kudryavtseva is a more than adequate partner, and these duets allow us to hear Lemeshev interacting with other characters, demonstrating his strong vocal acting. The fact that the two had a close personal relationship is undoubtedly one reason for the strong sense of ensemble between them; they match each other’s phrasing perfectly. 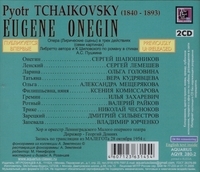 The complete EUGEN ONÉGIN found here differs from the two studio recordings Lemeshev made. The first of those, from 1936, was the opera’s first complete recording, conducted by Vassily Nebolsin; the second was from 1955, led by Boris Khaikin and featuring the young Galina Vishnevskaya as a memorable Tatiana. For overall impact, this live recording supersedes both studio sets. While Kudryavtseva is not as imaginative as Vishnevskaya, she portrays Tatiana’s passion and girlish naiveté convincingly, and she sings with a warm lyric tone, the voice lighter in color than Vishnevskaya’s. 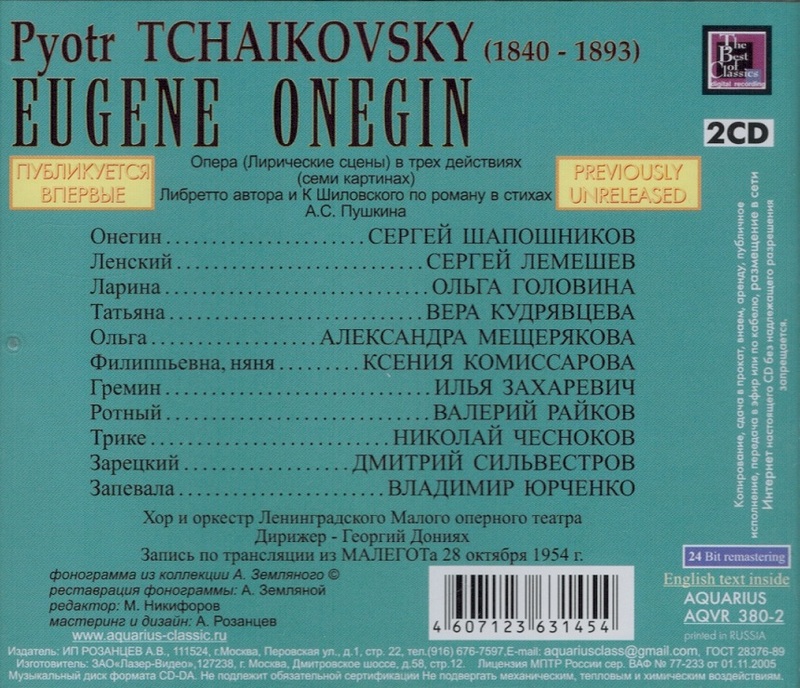 The surprise is Sergei Shaposhnikov’s Onégin. This is a singer with whom I was unfamiliar, and who doesn’t appear in the FANFARE archive. His warm lyric baritone is wedded to a keen sense of characterization, and he turns in a potent performance. Shaposhnikov was one of the main ‘house’ baritones in Leningrad for almost 40 years beginning in 1935. He conveys the complexity of Onégin’s character with more interpretive detail than many. Lemeshev’s Lensky defines what a poet should sound like. He brings a genuine urgency to Lensky’s first act arioso, and his signature aria in the second act is stunningly beautiful. Lensky’s exchanges with Tatiana and Onégin are inflected like true personal dialogue. Georgi Domiyakh’s conducting is strongly characterized, nicely balanced between the incisive and the broadly lyrical. The live monaural sound is very professional, not inferior really to the 1955 studio recording Lemeshev made in Moscow. The extra energy present in a staged performance is definitely present, and there are virtually no ensemble slips of the kind that can mar live recordings. Going through all of these recordings is both a joy and perhaps a lesson in singing and artistry. Just when you think you have Lemeshev figured out (he’s poetic, intimate even, but probably not exciting), he lets loose with an emotional outburst that rivals those of dramatic Italian tenors. There is a huge range of repertoire here - both songs and operatic scenes – and Lemeshev sounds comfortable in all of it. His use of the voix mixte, blending the middle and upper registers in a way that minimizes the differences between them, allows him to produce a remarkably even and flowing legato. As I listened, I kept being surprised by this turn of phrase, that imaginative bit of dynamic shading, this dramatic emphasis, that particularly beautiful tone. The pleasures just kept coming. There is much to learn about the development of Lemeshev the singer and the artist by listening to all of these releases, but in particular the two discs of opera arias, one recorded mainly pre-1940, the other mainly post-1940. Most of the recordings circulated before now, except for the first ONÉGIN, have dated from the mid-to-late 1940s and 1950s. Hearing the CD drawn from 1937-1940 allows us to revel in the beauty and freshness of tone of the singer in his prime. He already shows a good deal of imagination and strong musical instincts. But when you hear some of the duplicated material in the later recordings, you see how much Lemeshev grew as an artist. Compare, for instance, the two recordings of ‘Pourquoi me réveiller’. The first was made in 1938, the second in 1945. By the latter date Lemeshev felt freer to take some risks, including an astonishing diminuendo on the A-flat near the end, with no loss of tonal body. In the earlier recording there is some very individual phrasing and shading, along with an imaginative use of soft tones, but the As rings brilliantly (no complaint - there is no diminuendo written). In ‘Questa o quella’ from RIGOLETTO the later recording also demonstrates a greater vocal élan, a stronger characterization of the recklessness of the Duke. Another positive aspect of these recordings is that you will probably discover some wonderful arias with which you weren’t familiar. While the lack of meaningful English commentary about the music will frustrate some, the arias by Dargomyzhsky, Nápravnik, Serov, Gretchaninov, and Rimsky-Korsakov will bring new pleasure on purely musical grounds. A bit of research will help you learn about the arias’s dramatic contexts. "I made my first operatic recording, EUGEN ONÉGIN, with Boris Khaikin, a conductor from the Bolshoi, and the singers Evgeny Belov and Sergei Lemeshev....by then fifty-four and for decades the most famous Russian tenor [who] rejoiced like a child that he had finally had the opportunity to record his favorite role. How fortunate for future generations of singers and the listening public that this outstanding singer has left his unsurpassed interpretation of Lensky to posterity….For dozens of years Sergei Lemeshev was the public's idol....and in Soviet Russia there has not been - and will not be for years to come - an artist to equal the enchantment of his voice, his irresistible charm, and his mastery. Everything about him was artistic....On the stage, until the end of his career, he was a youth, beloved and vulnerable. Even at seventy he still drove his admirers into ecstasies every time he sang Lensky at the Bolshoi....."